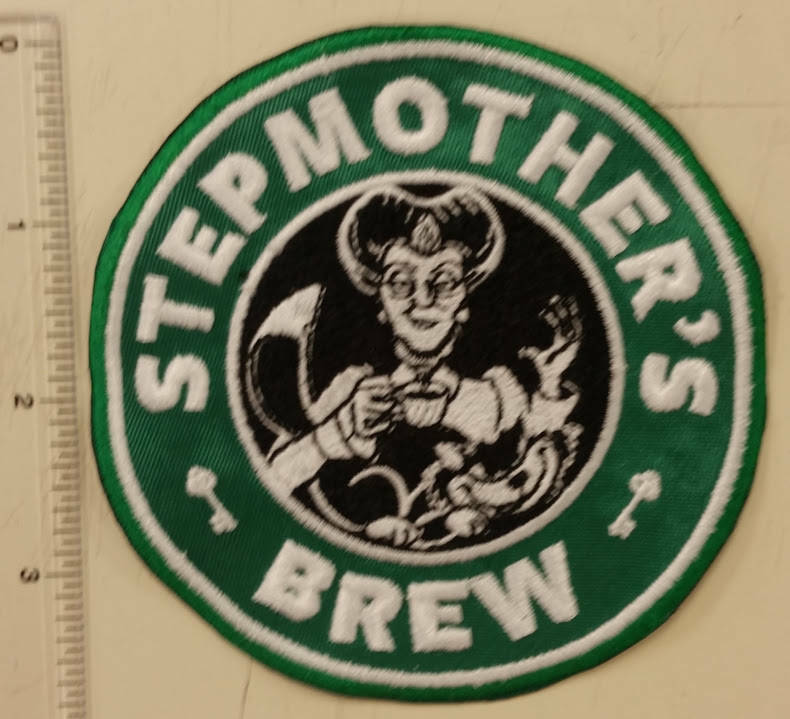 This stepmother villain Starbucks parody patch is sewn with an outer kelly green thread on a kelly green patch background, it is also sewn with white and black thread. It measures approximately 4" in diameter. It has an iron on adhesive to help with application. 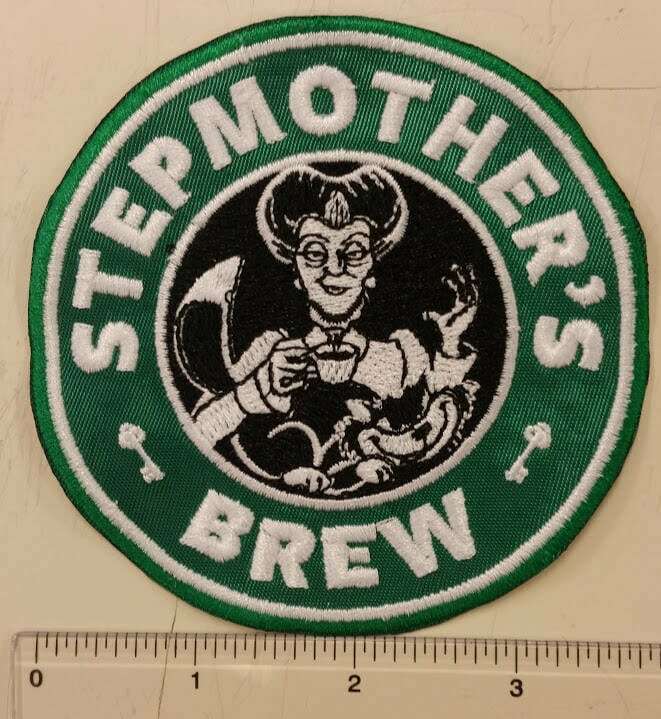 This patch will be mailed to you 2-6 business days after you purchase them. First class USPS shipping for United States customers. If using heat-press, use 320-330 degrees for 10-12 seconds, then turn garment over and press from the back-side for 15-20 seconds more. If using a hand iron, use setting between Wool and Cotton, no steam. With a hand iron, press firmly for 20-30 seconds per side. Allow the patch to cool about half a minute before you turn over to press the opposite side. 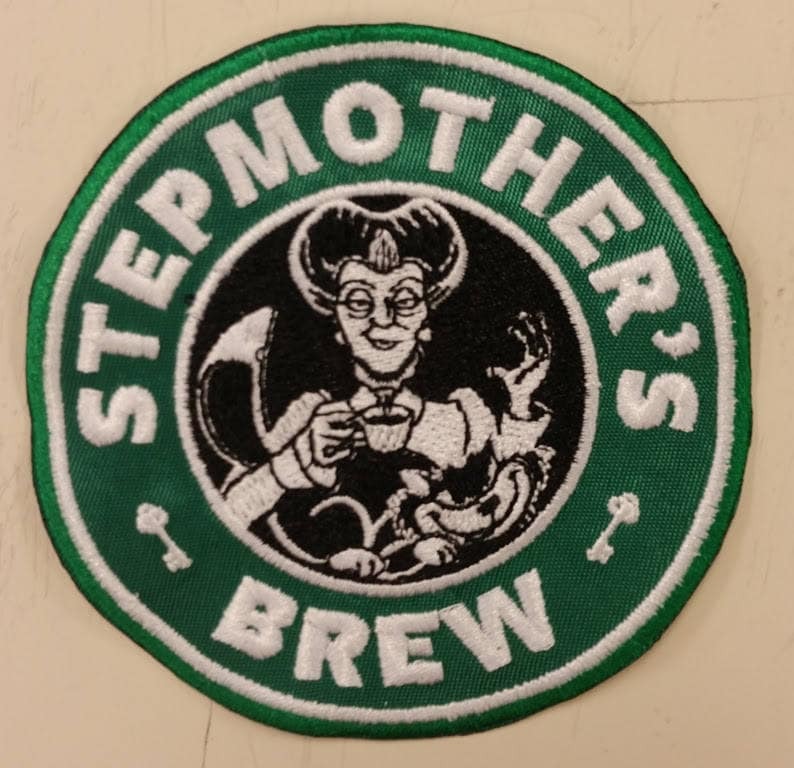 Extremely well made patches. Combining Starbucks and Disney, you can't go wrong! Arrived quickly!